It may be winter outside… but everything’s cosy-rosy at The Locksbrook Inn, where a grand selection of Weekday Wonder deals are putting a spring in our step. The week kicks off with Pie’n’Pint Monday: tuck into a hearty meat, veggie or vegan pie served with creamy mash and accompanied by a pint for just £12.50. Next up, Tuesday is Stew Day: a comforting meat or veggie stew served with a wedge of crusty bread for £10. Wednesday is all about steak (in this instance, an 8ozs rump with fries and salad from just £12.50.) And to drink with that? Grab a bottle of red for a tenner! As for Thursday – well, it’s almost the weekend, isn’t it? So start as you mean to go on with a bottle of celebratory Prosecco for £15 between 5-7pm. If, however, you’re in the mood for a perfect pizza on any day of the week, the Locksbrook’s legendarily good homemade, hand-stretched pizzas are just £6 before 5pm every Monday-Friday and all the time on takeaways when you pop in to collect. Looking for an excuse to indulge in a mid-week pizza blowout? You got it! 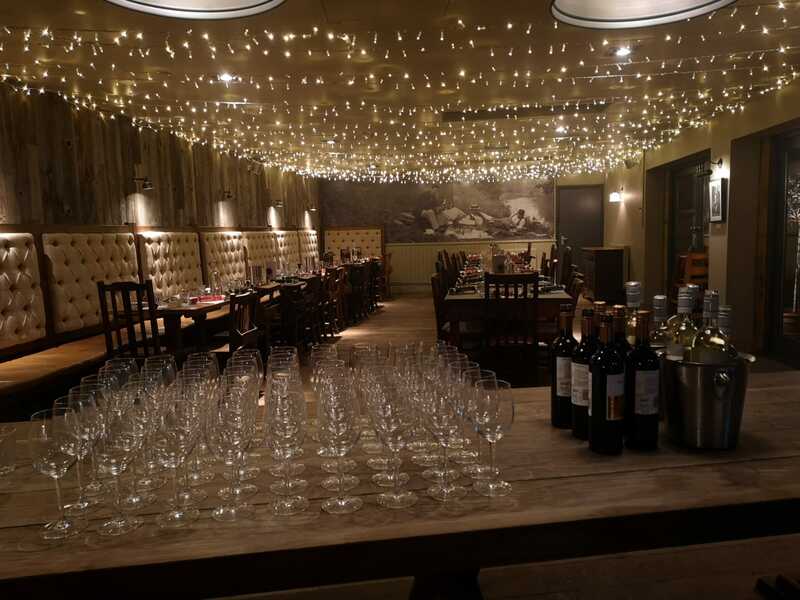 While we’re on the subject of the lovely Locksbrook, it’s worth flagging up that this glorious little merrymaking zone is also home to two versatile private function spaces available to hire: choose from the restaurant (which can seat up to 100 people – see pic to see just how pretty it is) and the Lockroom, perfect for groups up to 40. Both spaces are ideal for baby showers, christenings, birthdays, wakes, business meetings and much, much more, and bespoke catering requirements including buffet and set menus can easily be arranged. Party on at The Locksbrook!